QSE Barber Station with Bowl. In the barbering tradition, this station has a full-extension drawer and storage cabinet on both sides of the built-in shampoo bowl. 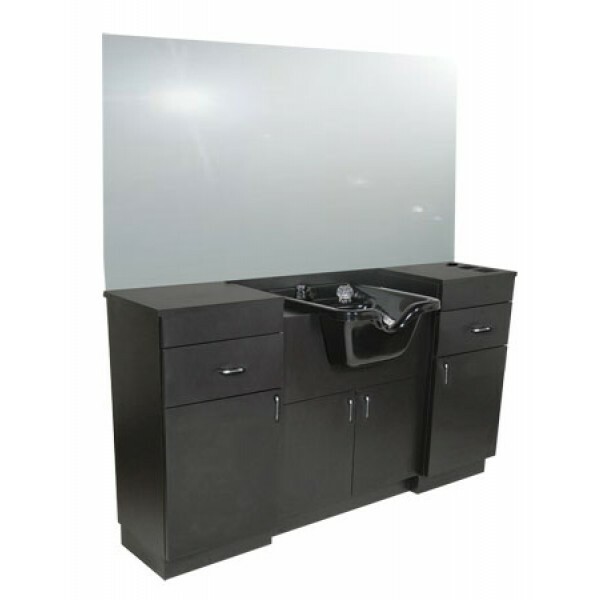 Station includes blow dryer holder, two clipper pockets, plumbing access doors, and it includes the Collins CB19 ABS plastic Bowl w/ fixtures, spray hose, and vacuum breaker. Unit measures 66”W x 16”D x 39”H. 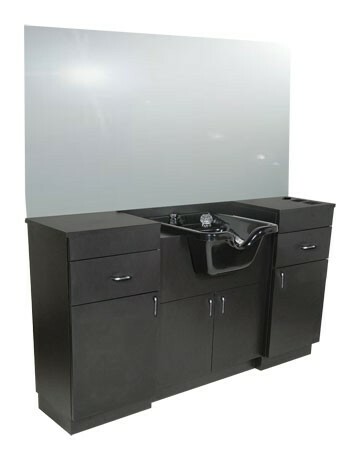 The pictured 36” x 66” mirror is included. Matte Black, Shaker Cherry, Cafelle, or Limber Maple laminate; 10% upcharge for special order laminates. Some assembly, plumbing required. Electric should be available.